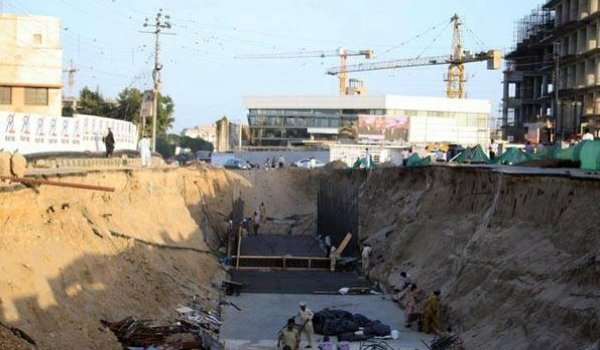 Karachi: The Sindh High Court (SHC) once again restrained Bahria Town from carrying out construction work on an overpass and two underpasses in the Clifton area of Karachi for not getting Environmental Impact Assessment (EIA) report on the projects. An application was submitted by the Defence Housing Authority (DHA) in this regard, responding to which the SHC issued orders for stopping the construction work on the said projects. The court directed the Karachi Metropolitan Corporation (KMC) to obtain EIA report on the project from Sindh Environment Protection Agency (SEPA). SHC also directed SEPA to prepare EIA report in accordance to relevant laws.